With Summer in full swing it is our job as parents to make sure that our children do not lose the knowledge they learned over the past school year. 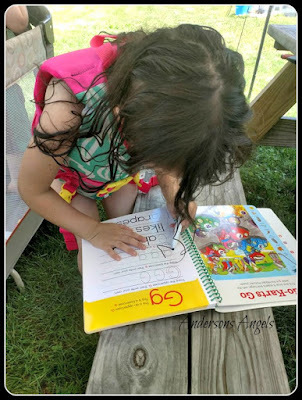 Maybe you have a little one who is not in school but is starting to work on their letters and numbers. Then Highlights would be the perfect books to help them and you succeed at teaching them their basic skills. 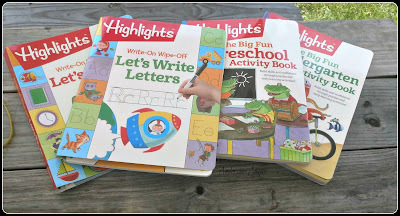 I recently received a big box of Highlights books to use with my children. 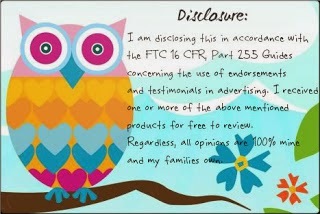 Since my children are in a wide range of ages I am able to easily review a wide range of styles and types of books. I received the Big Fun Preschool, Big Fun Kindergarten and the Big Fun First Grade Workbook along with Write-on Wipe-off Let's Write Letters, Write-on Wipe-off Let's Write Words and Write-on Wipe-off Let's Trace books. Sweet Pea and Angel have been enjoying working in the workbooks. These books have been helping Sweet Pea to continue with what she was learning in First Grade along with helping her grow stronger in areas that she was struggling in when school ended. Angel on the other hand has not started preschool yet but these books allow me to easily work with her on the skills she will need once she starts preschool in the Fall. If you would like to win this wonderful set of books then be sure to enter the Sparkle & Shine Christmas in July Event!